It's off to the moon! 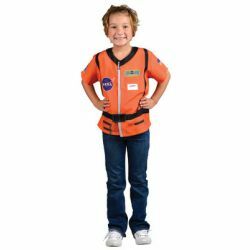 Having a blast is easy for the junior astronaut. This shirt is easy for little ones to put on by themselves. It has an official NASA logo, and a clear pocket for their name. Ages 3-6.